Buyouts and demolition of flood prone homes in Meshoppen has not moved as quickly as residents were told it would, but Wyoming County EMA director Gene Dziak told the county commissioners on Tuesday that he has the project back on track. 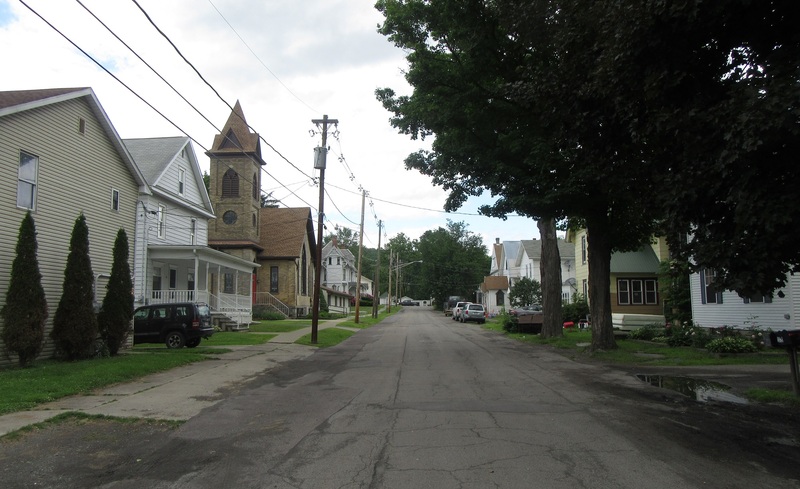 Meshoppen Borough council members and employees have been fielding complaints from Church Street residents whose homes are part of a structured buyout through the Wyoming County Housing & Redevelopment Authority (H&RA). A number of homeowners, who had been told at an emergency session of the borough in July that the process was imminent, maintain that they have received no money yet and that their calls to H&RA grants administrator Lisa Hahn are not being returned. Council members agreed on Oct. 1 that they had also not heard from Hahn, though secretary Phyllis Adams said that she had received a call from Tina Swindell, who introduced herself as an assistant to Hahn who has not yet been fully briefed on the buyout process and could not comment on its progress. It was noted that several homeowners have already purchased new homes or plan to do so and are again waiting for H&RA to act. Though there are still four or five properties in limbo, but Dziak explained that a general overview of the process has been laid out, and he is now working to plug in the details. Correspondence from solicitor Jonathan Foster indicated that the borough will be represented at an Oct. 29 bankruptcy hearing in Wilkes-Barre concerning several properties owned by landlord Steve Colley, for which thousands of dollars in delinquent sewer and water bills are owed. Discussion among council members and Adams indicated that some properties are owned solely by Colley and therefore part of his bankruptcy application and others that are co-owned may not be included. Nonetheless, liens have been filed against five of the properties in hopes of recouping some of the money owed to the borough. In August, Colley made a payment toward a past-due water bill that prevented a potential shut-off of services, and one of his tenants has made arrangements with the borough to pay their own water and sewer bills as they are not currently paying any rent to Colley. If no further payments are received within a month, council agreed, water and sewer service to both properties will be discontinued. Council was quick to approve overtime payment for police officers John Krieg and Sierra Crane for the extra hours they worked during the recent Wyoming County Community Fair week, as they have done for the past few years. 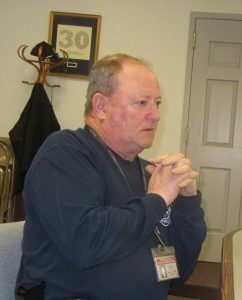 Immediately after the vote, however, council member Jack Vaow questioned the tradition of extending an extra week of pay to each of them, which costs the borough $1,658. “I don’t disagree,” said Bunnell. “But I think 90 percent of that was in the borough – a lot of it from my parking lot,” in reference to the two officers using Bunnell’s Village Sweet Shop as a base for targeting those exceeding the speed limit through the borough. Vaow said that he didn’t necessarily object to the extra pay, but council was in general agreement that Meshoppen Township should be chipping in toward the total since they share the police force and obviously reap the benefits of extra police coverage during fair week. It was not immediately known where the un-budgeted funds would come from, but council remained hopeful that a $5,000 Marcellus Legacy grant would be released by the county to them. Adams said that she had spoken several times to commissioner Tom Henry to verify the funding when her calls to Wyoming County planner Lynnelle Farber were not returned. The matter was not on the agenda at the Tuesday morning meeting of the commissioners, nor was it discussed.